A man with a concealed-weapons permit shot one of three men who tried to rob him at a gas station just outside West Palm Beach, the Palm Beach County Sheriff’s Office said. He had just paid for his gas and was walking back to his car when three men approached and demanded money. Rather than hand it over, he drew his gun and shot at them, the Sheriff’s Office said. The wounded would-be robber is in custody and is expected to survive. 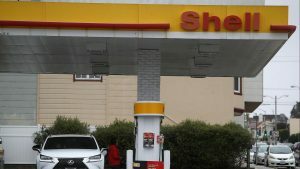 The attempted robbery happened just before 7 a.m. Saturday at the Shell station at 2970 N. Military Trail, said sheriff’s spokeswoman Teri Barbera. “The victim, in fear of this life, discharged his firearm, which he has a concealed weapons permit for, striking one of the suspects,” she said, in a statement. The gas station clerk, who would only identify himself as Mr. Nasser, said the intended victim appeared unhurt.